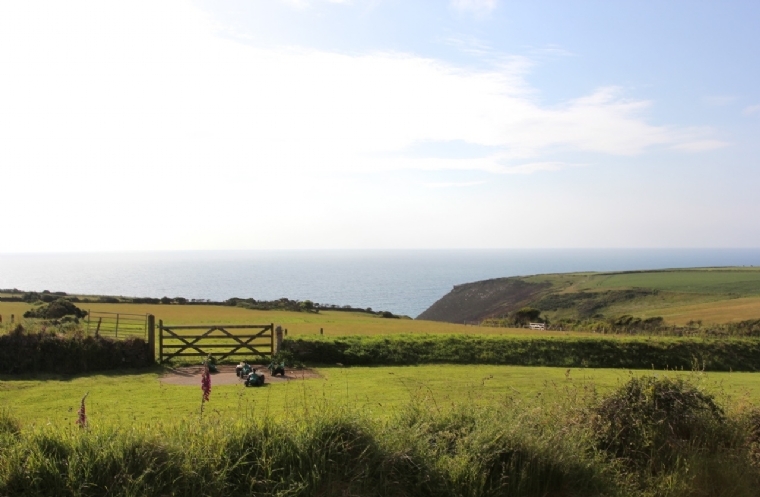 and separated by just two stone walled fields from the coastal path, Caradoc offers breath-taking vistas to the Atlantic. 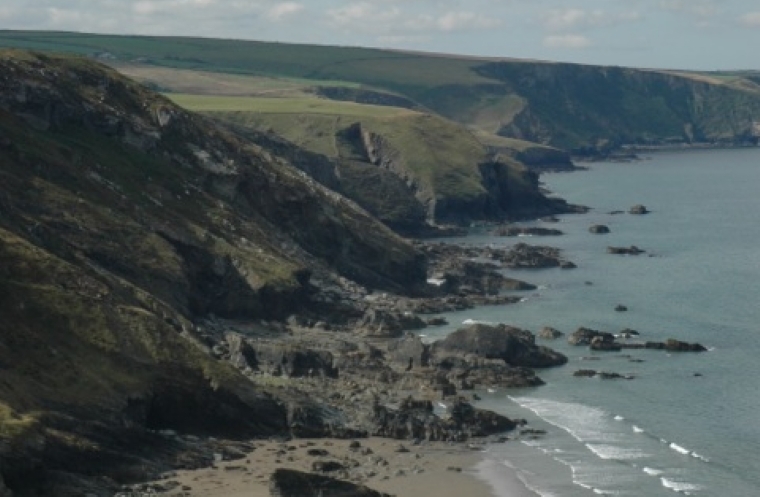 Carpets of wild flowers and a flock of Hebridean sheep line the footpath that leads in less than ten minutes to one of north Cornwall’s best kept secrets. 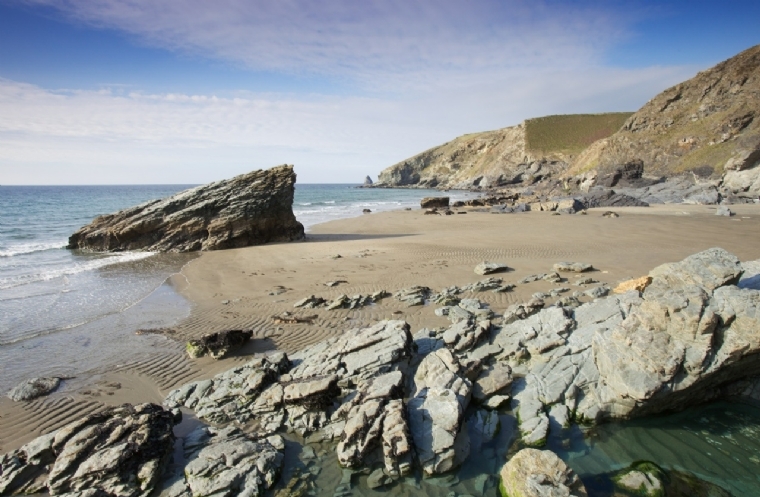 Tregardock’s tidal beach is a paradise for rock poolers, surfers, walkers, mussel pickers and fishermen and its mile of sand is sparsely populated even at the very height of the summer holidays. 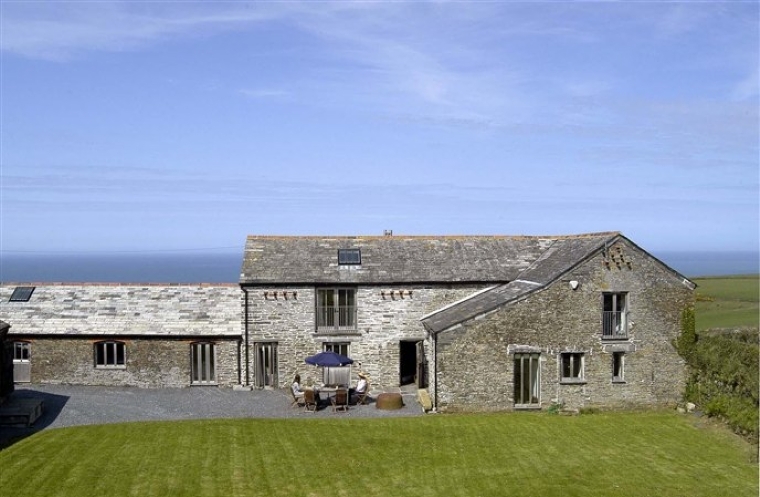 and converted farm buildings set around a very private, grassy courtyard with west facing terraces and gardens that provide incredible views over one of the wildest and least developed parts of the Cornish coast. 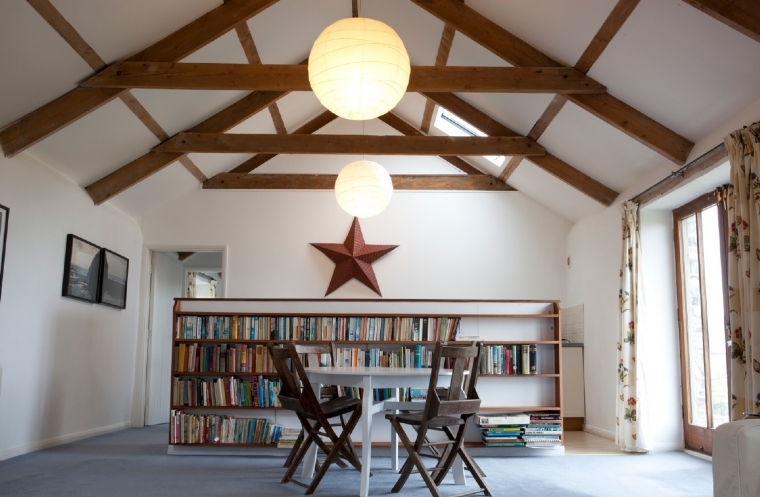 Caradoc offers accommodation for up to 12 in a main house that sleeps 8 (although it can also be divided into two apartments sleeping 4) and Julian’s house which sleeps 4. A separate 60 foot studio adjoins both houses. 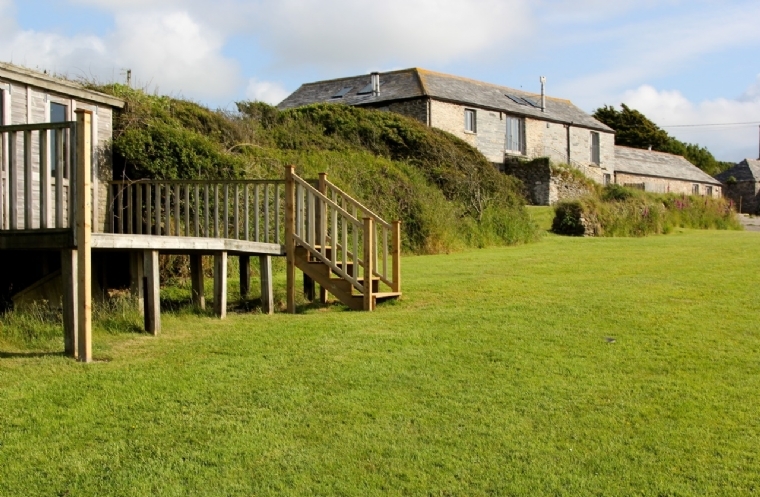 Surrounded by 250 acres of farmland and set in a hamlet that includes just two other properties, Caradoc provides absolute tranquillity and calm while offering easy access to the busier beach resorts a little further along the coast.